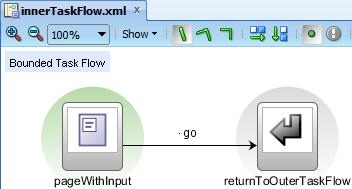 One of the interesting patterns regarding communication between task flows are return value parameters. It is possible to expose more than one return parameter. Also it is possible not to use them at all. 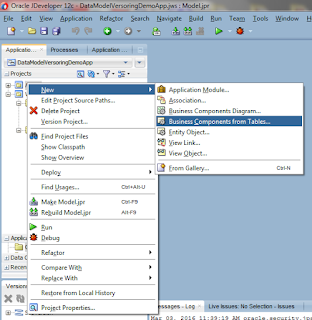 OK, prerequisites are two task flows, one will be named innerTaskFlow and the second one outerTaskFlow. First one should contain two activities, one will be the view and the second will call an action in the parent (outer) task flow. It should also define an output parameter. For example purposes I've defined it as a String. EL expression in the Value column points to the attribute's value. The page itself is as plain as it could be. I've decided to put the value directly (and implicitly) into pageFlowScope memory. 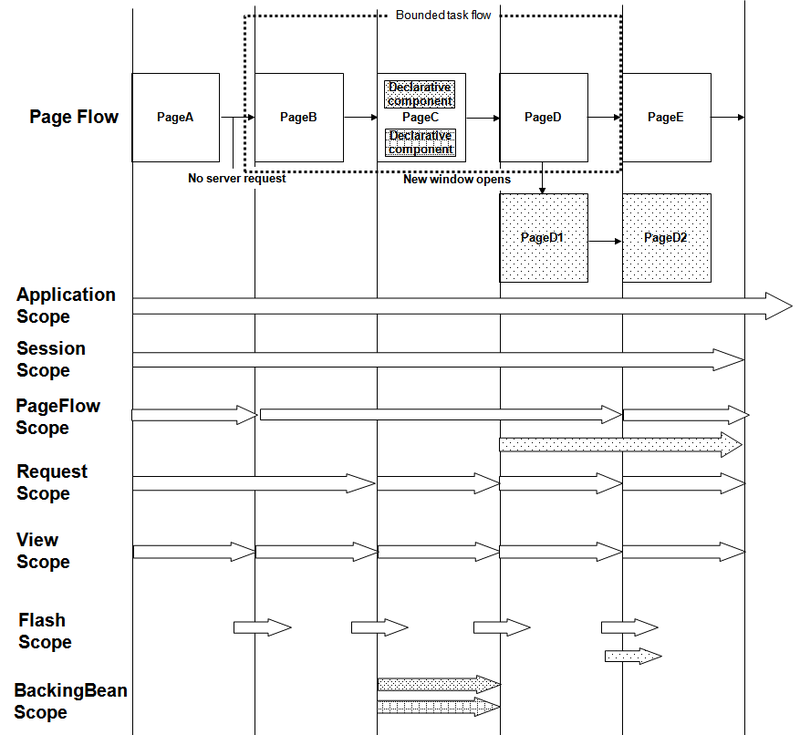 As for outerTaskFlow, it consumes innerTaskFlow as default activity. 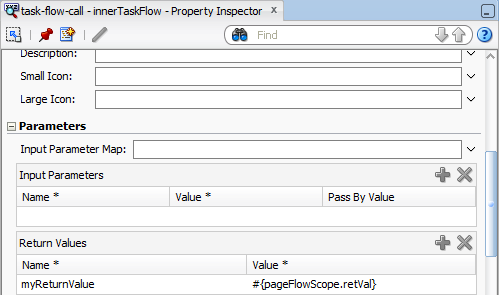 In its Property Inspector I've defined what needs to be done with innerTaskFlow output attribute - put it into current pageFlowScope. Please create also test JSPX page to run and verify the example (drag and drop outerTaskFlow on it). The question you may have is "why do I need to assign the pageFlowScope.varName1 to pageFlowScope.varName2 instead of using pageFlowScope.varName1 in both task flows?". To answer that please review (once again, I suppose :)) ADF memory scopes.